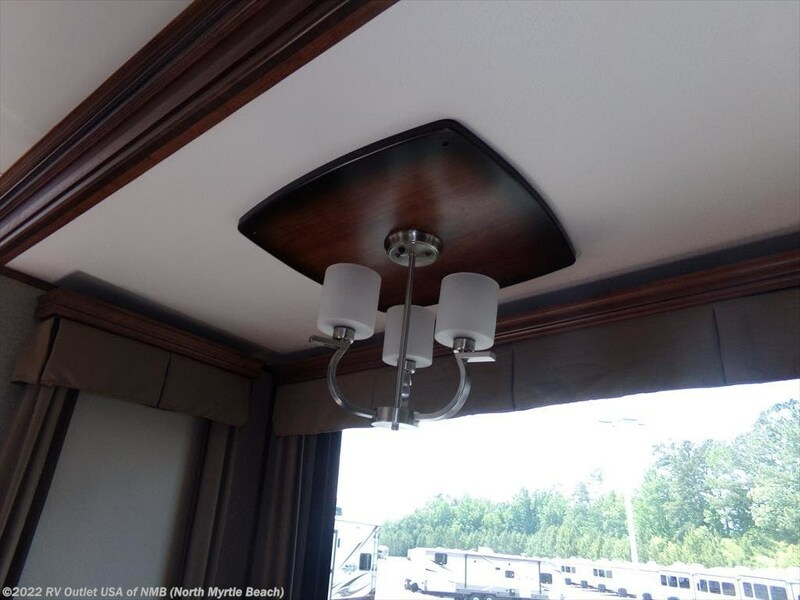 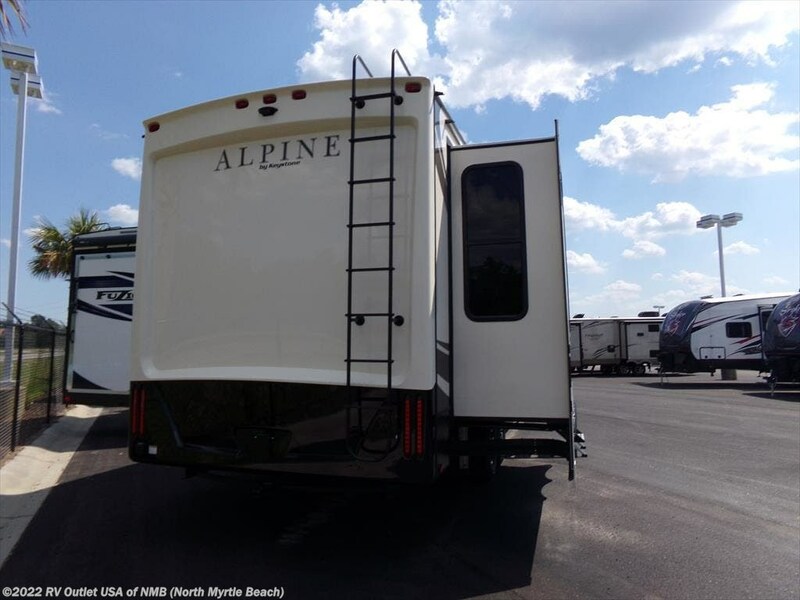 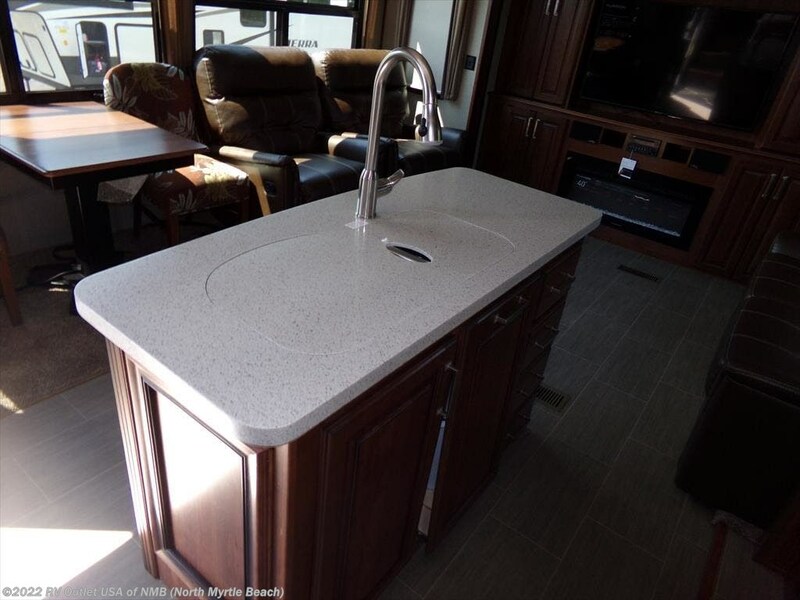 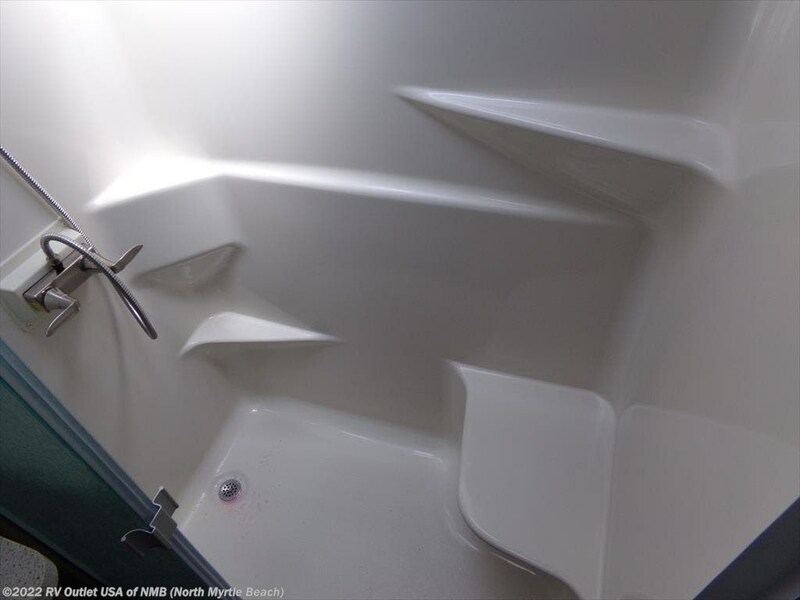 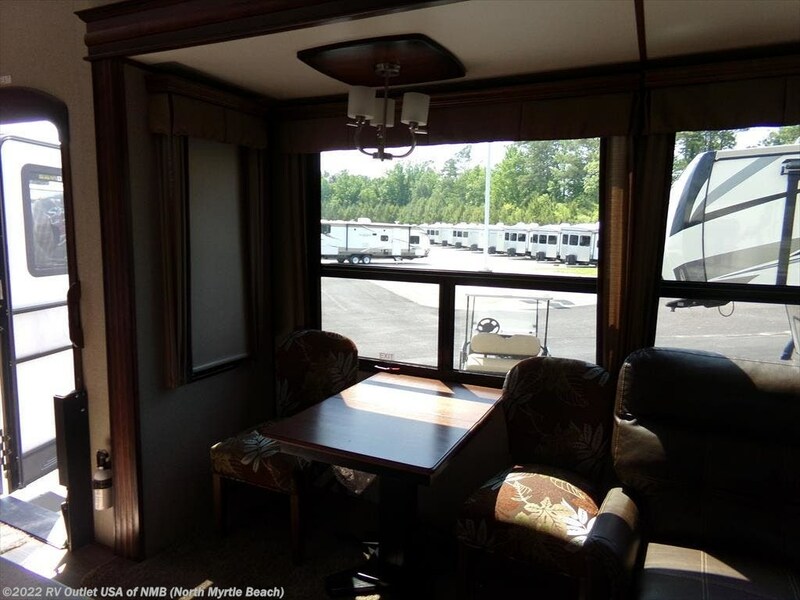 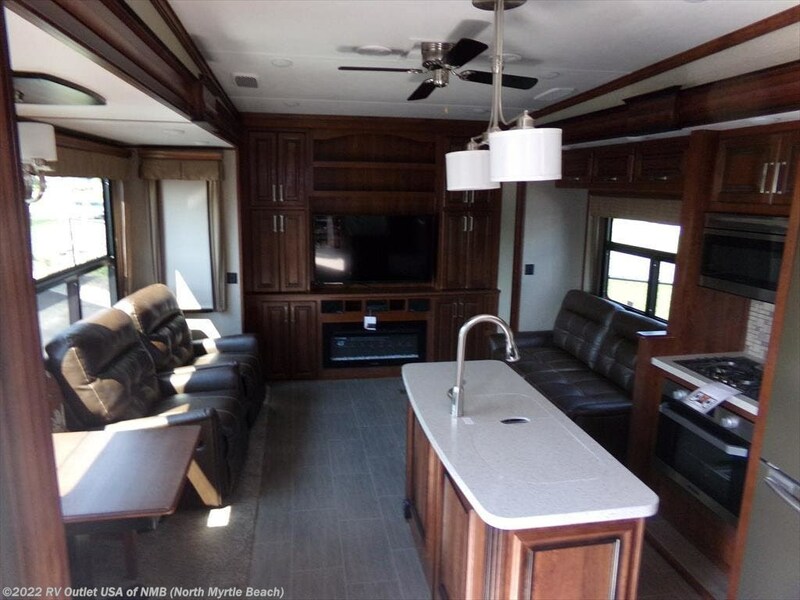 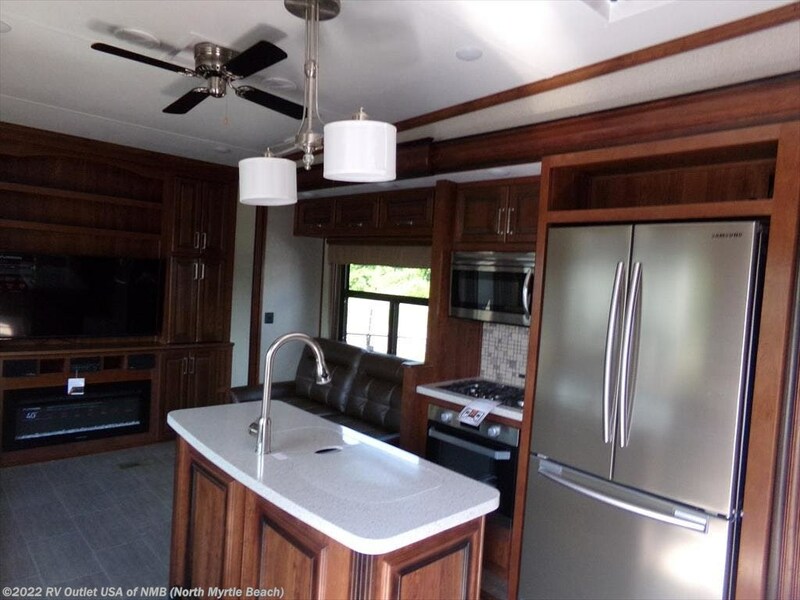 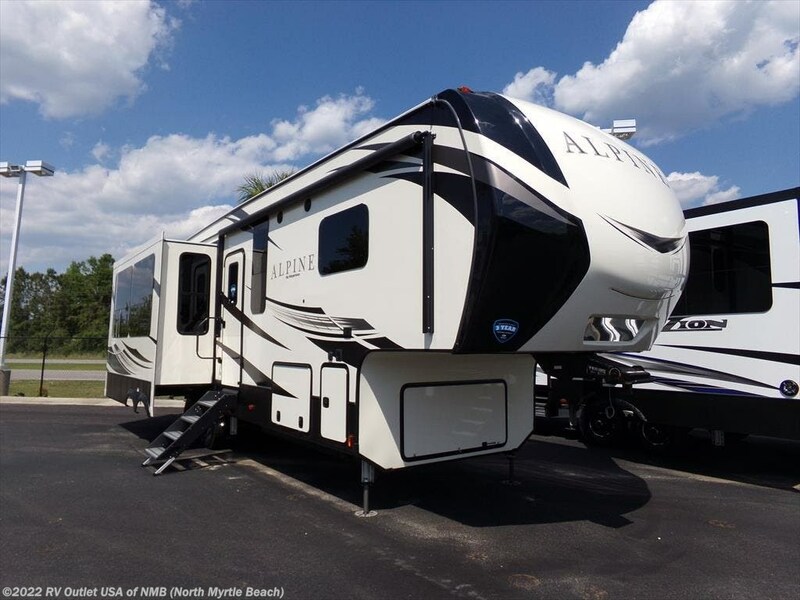 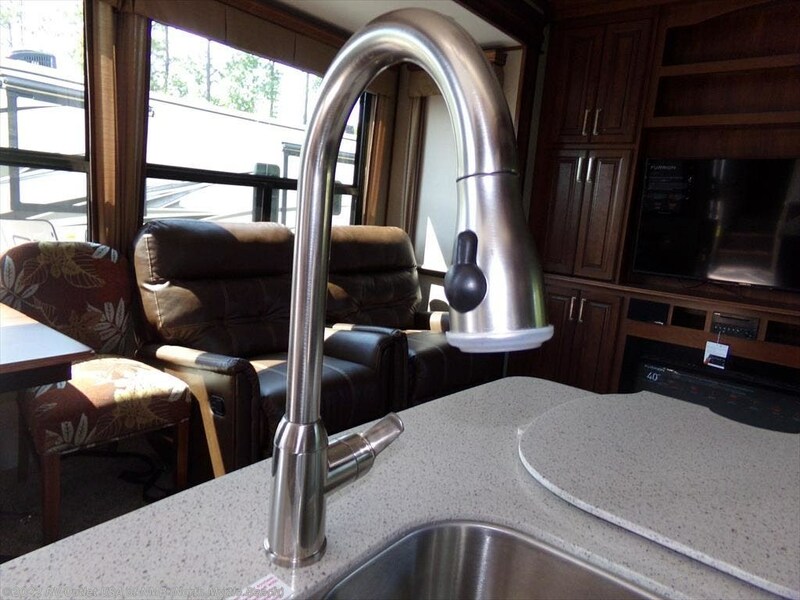 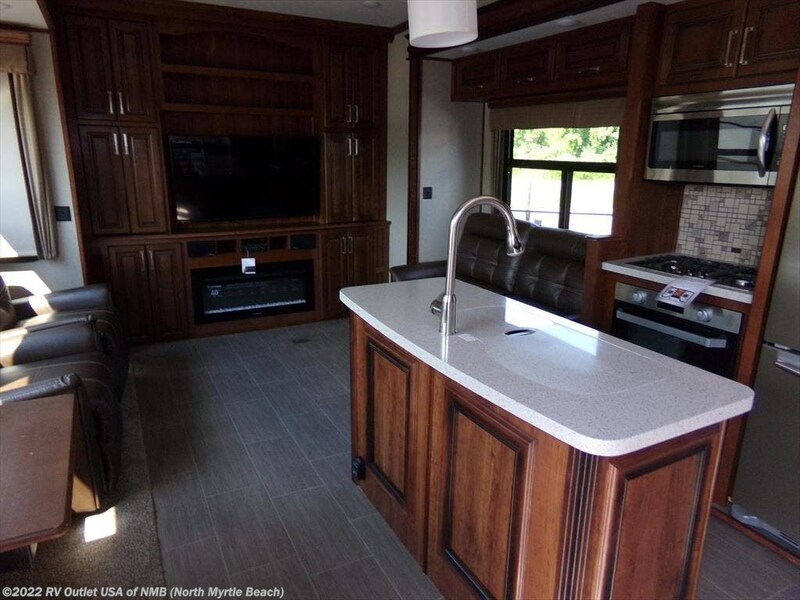 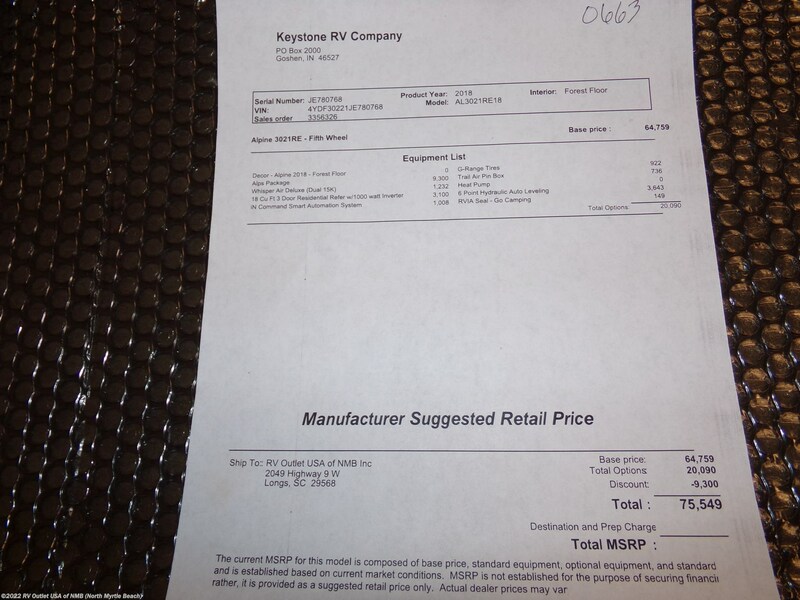 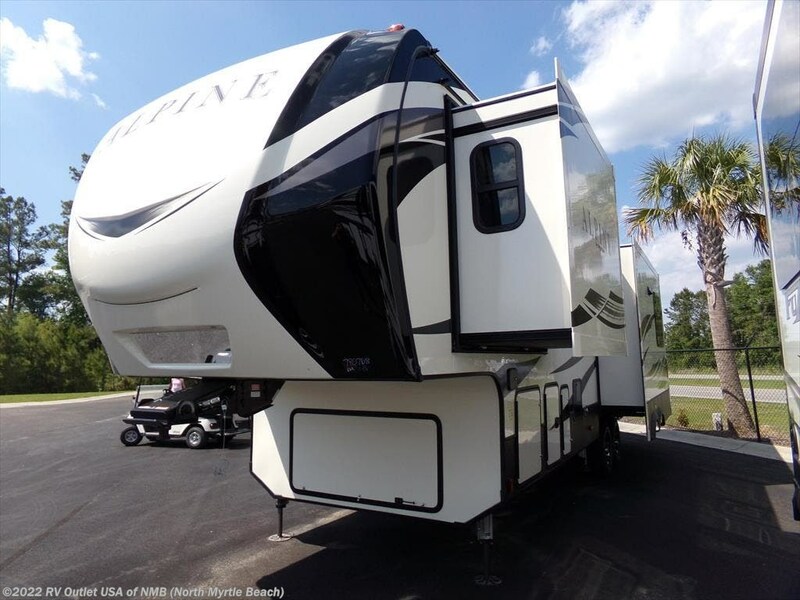 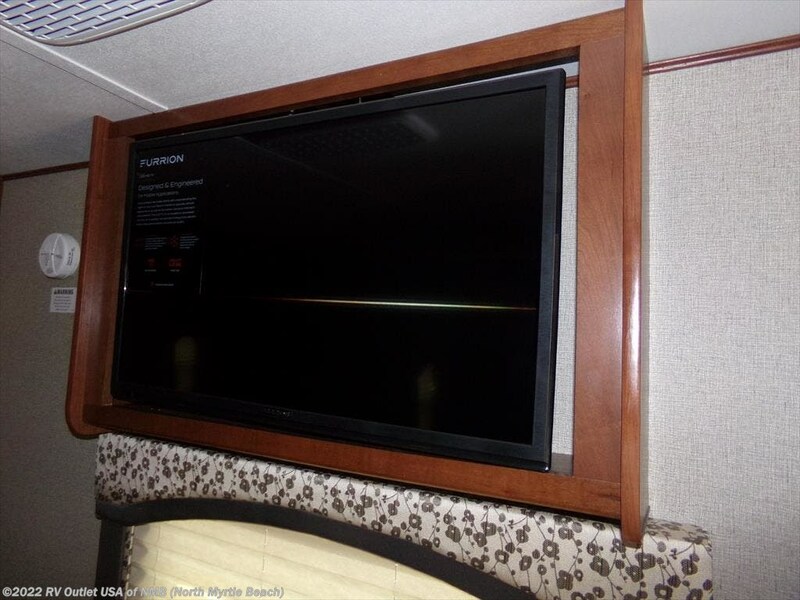 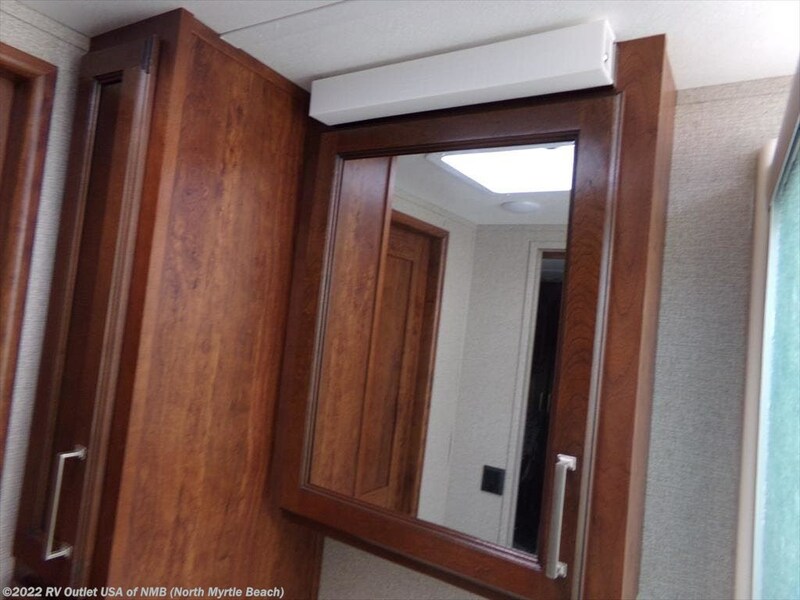 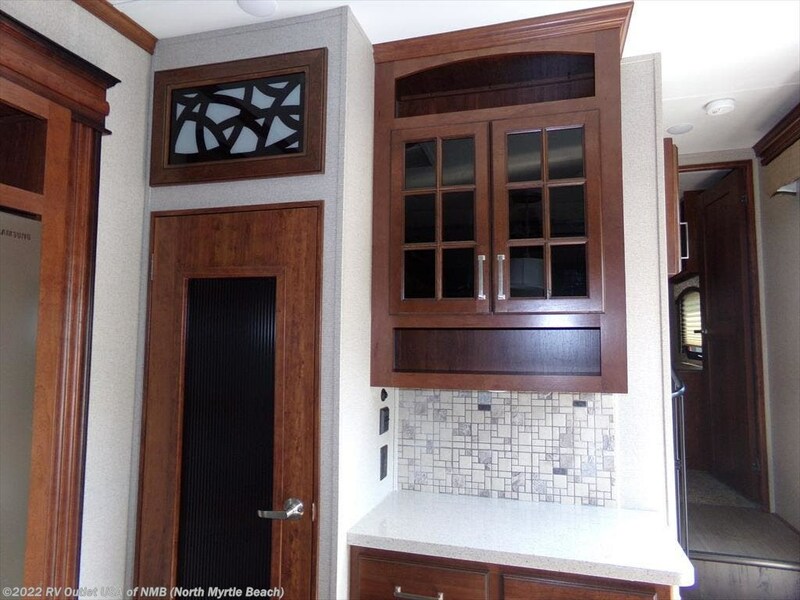 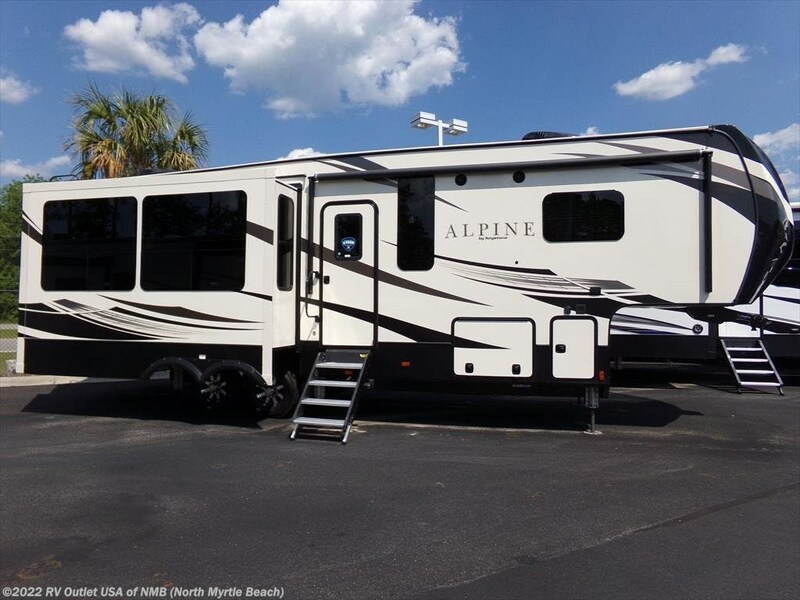 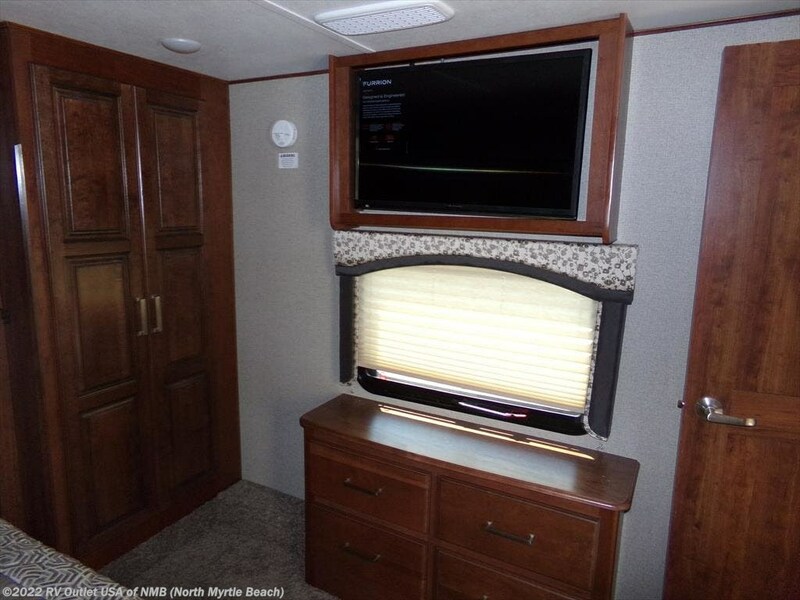 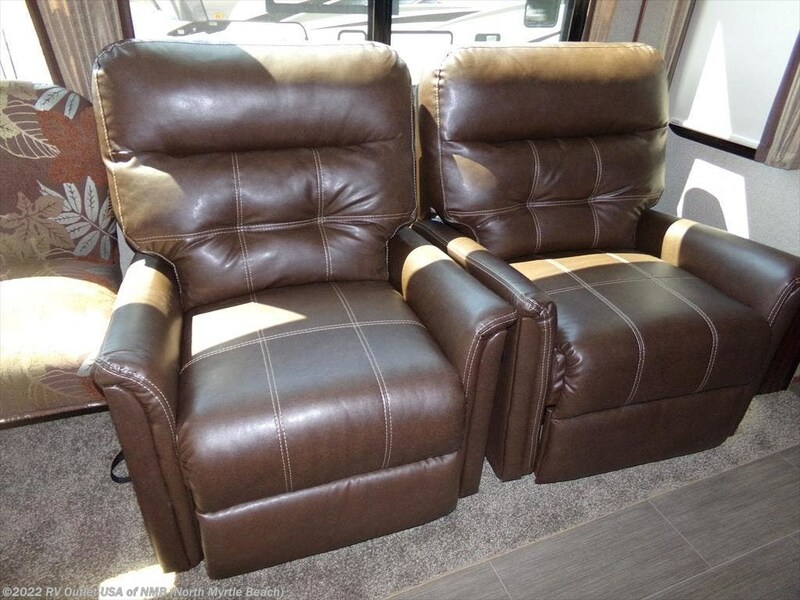 Here's one of Keystones best selling fifth wheel floor plans, the 2018 Alpine 3021RE which is a triple slide, 34' rear entertainment floor plan. 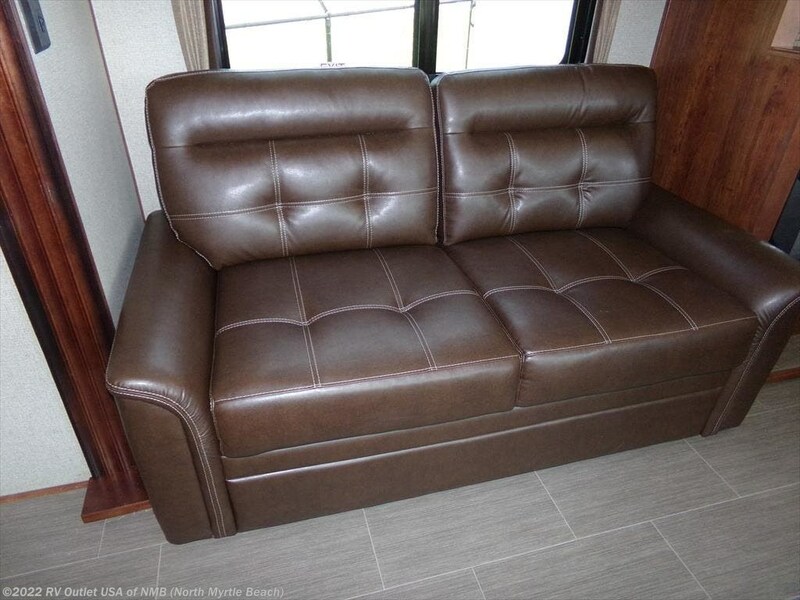 This coach is absolutely beautiful inside and out. 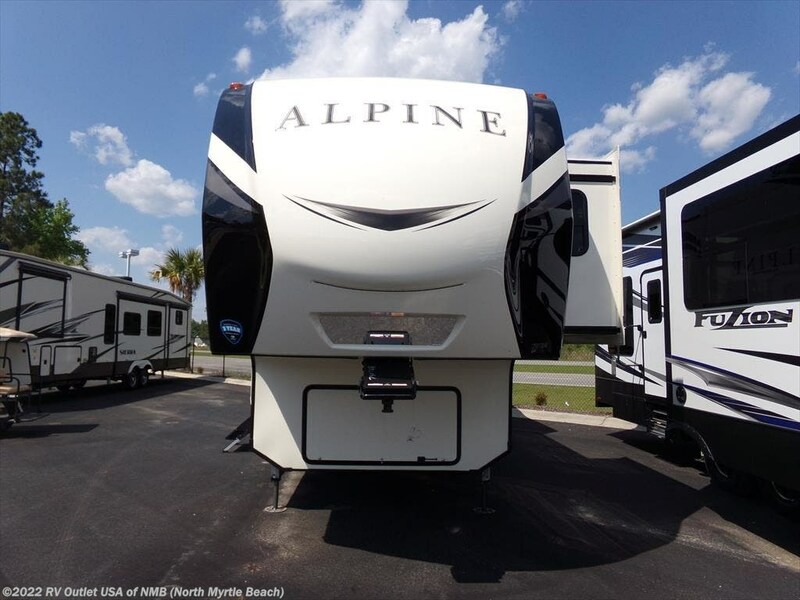 It has the Alps package which contains a ton of very nice features! 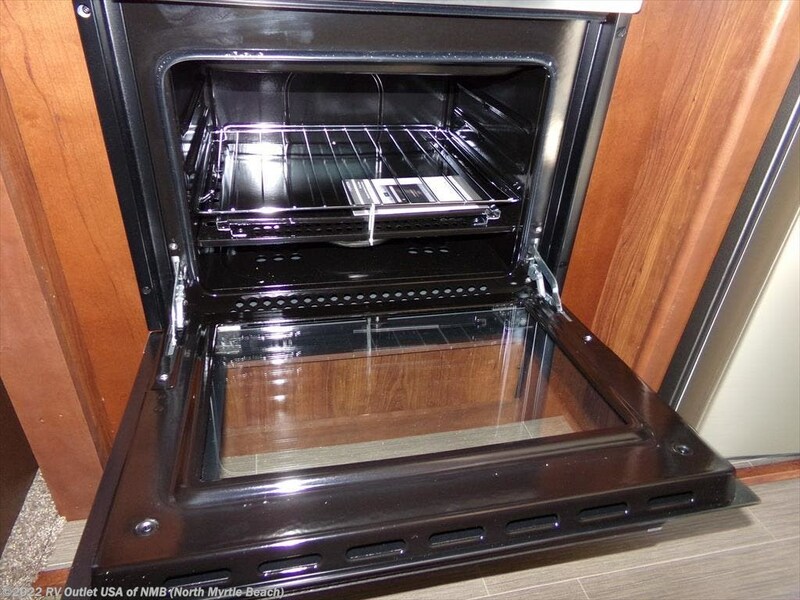 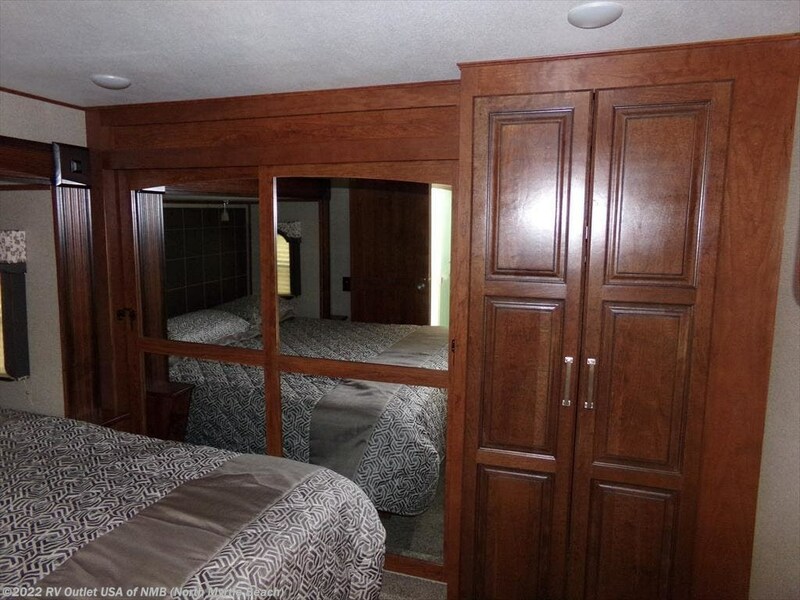 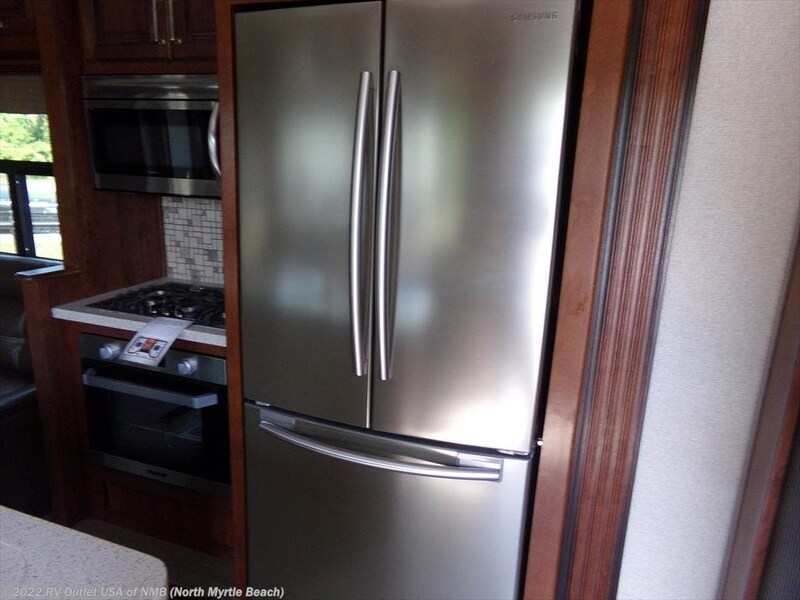 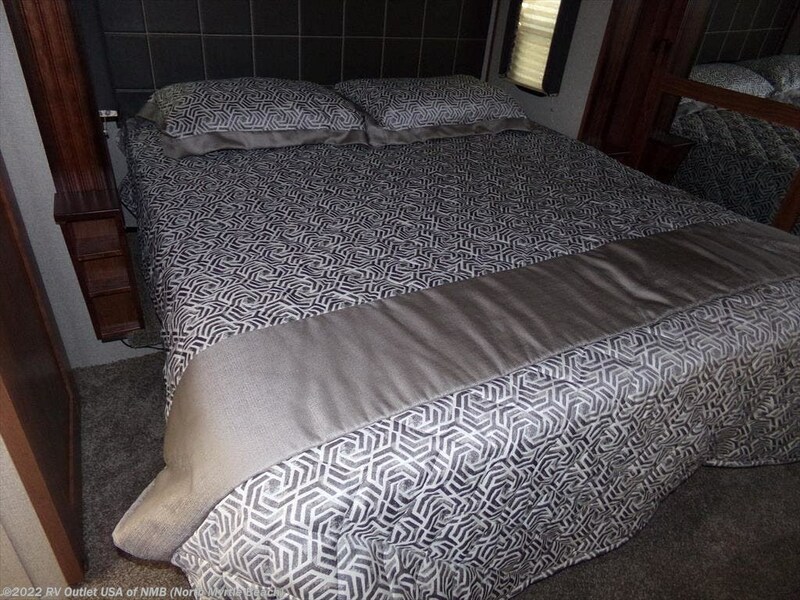 It has a king bed slide in the master bedroom which gives you a large double door wardrobe in the front and it has been prepped for washer and dryer. 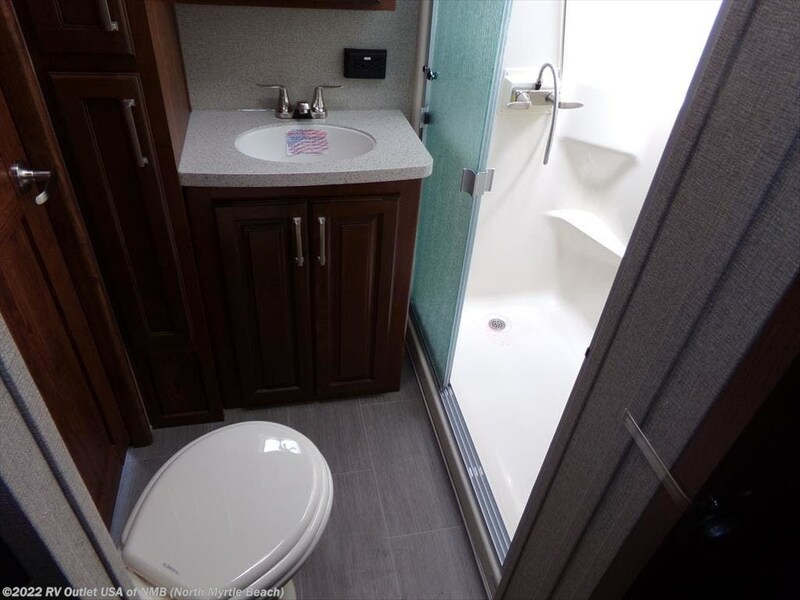 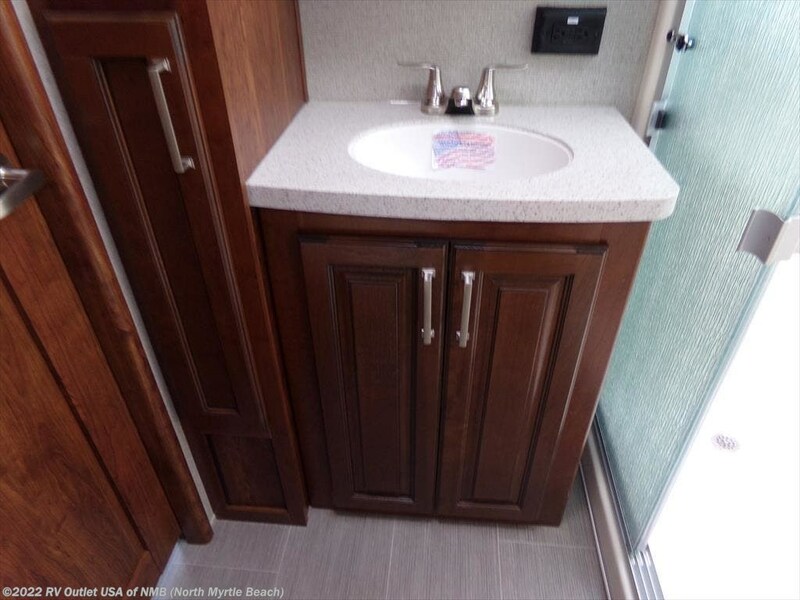 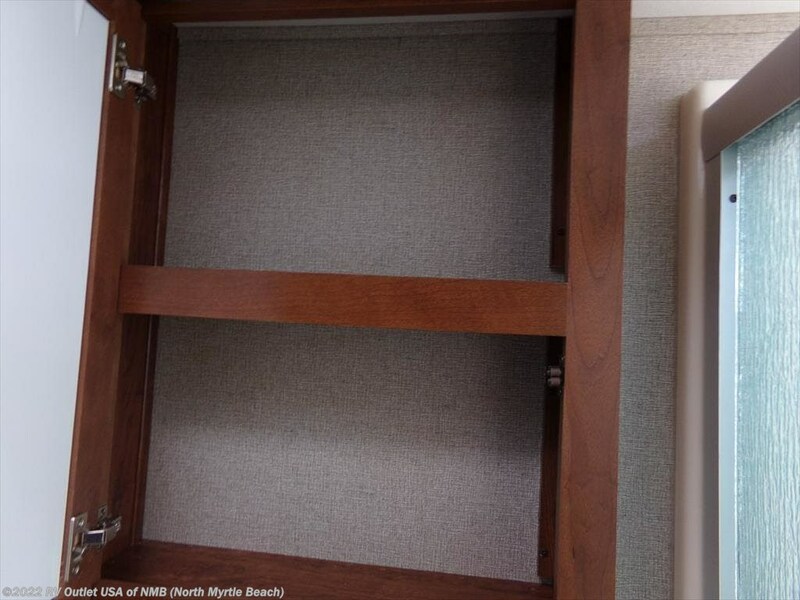 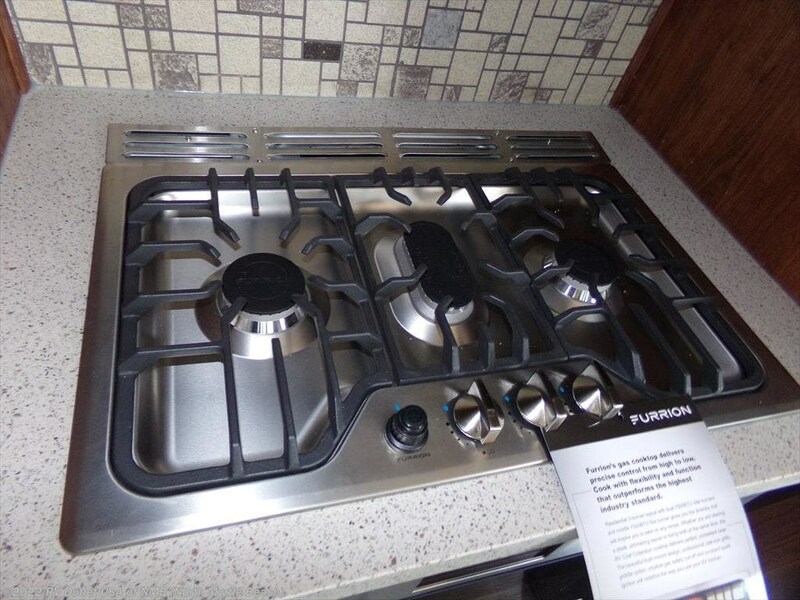 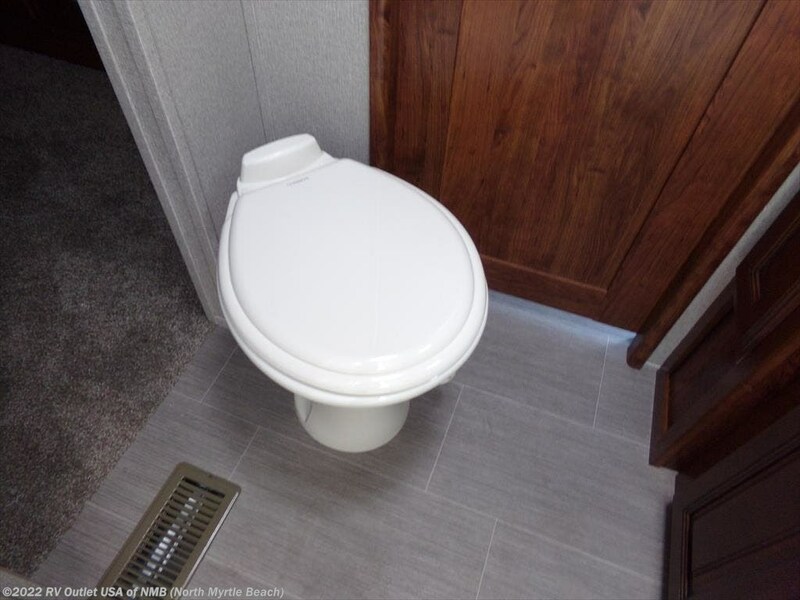 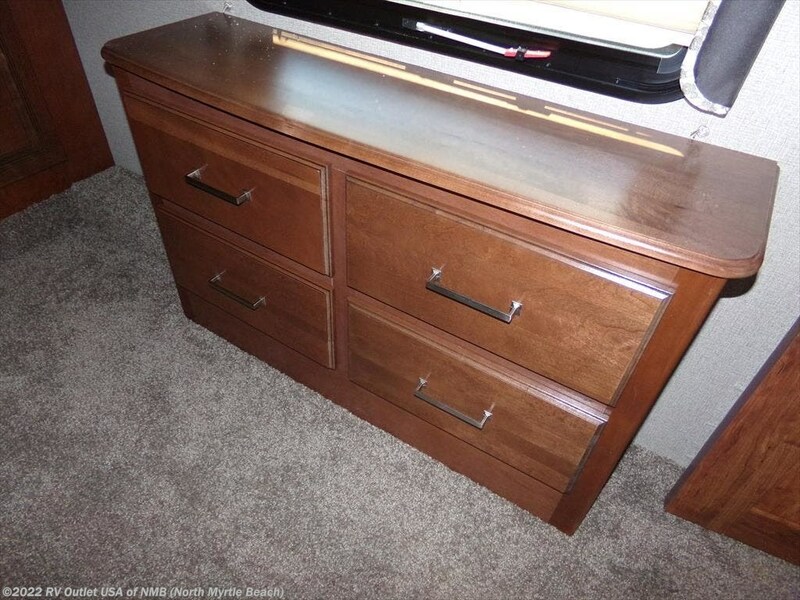 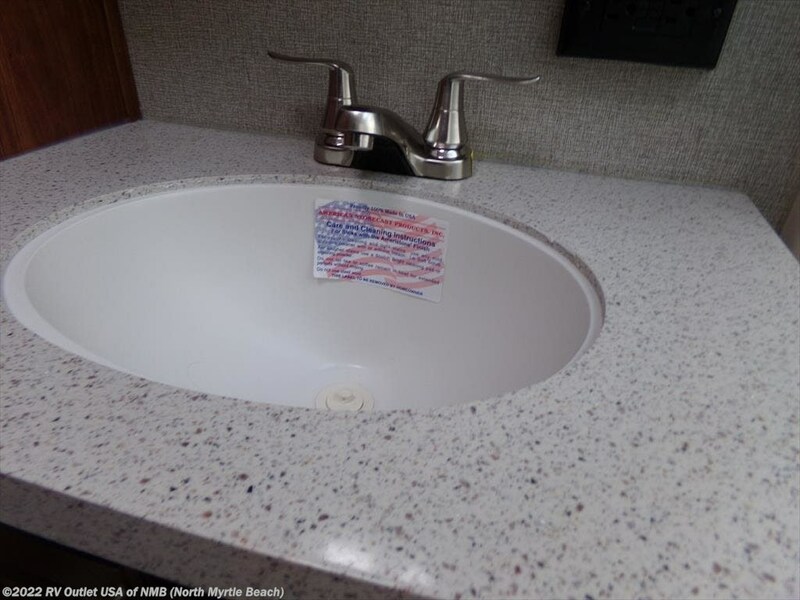 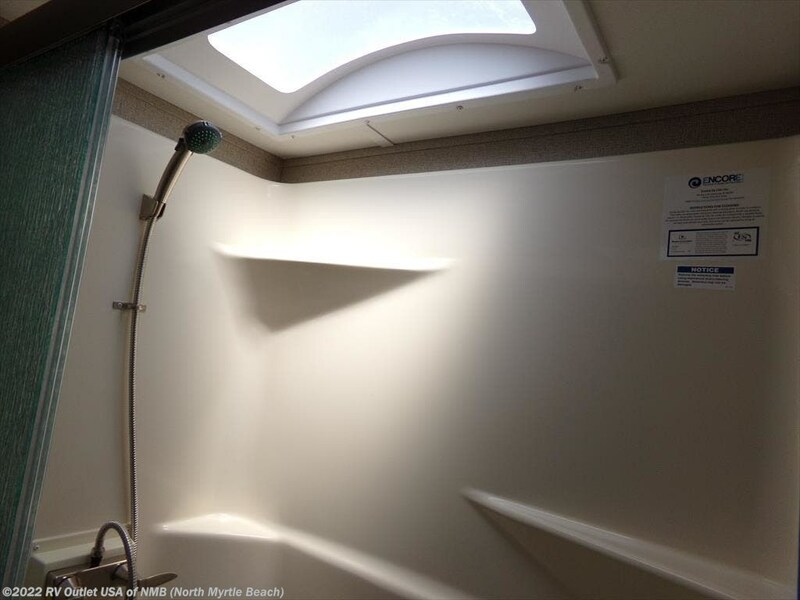 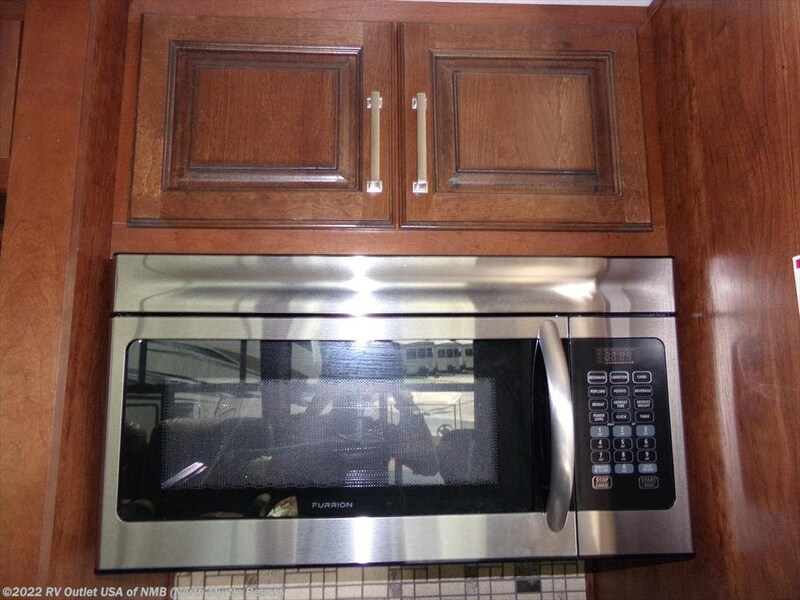 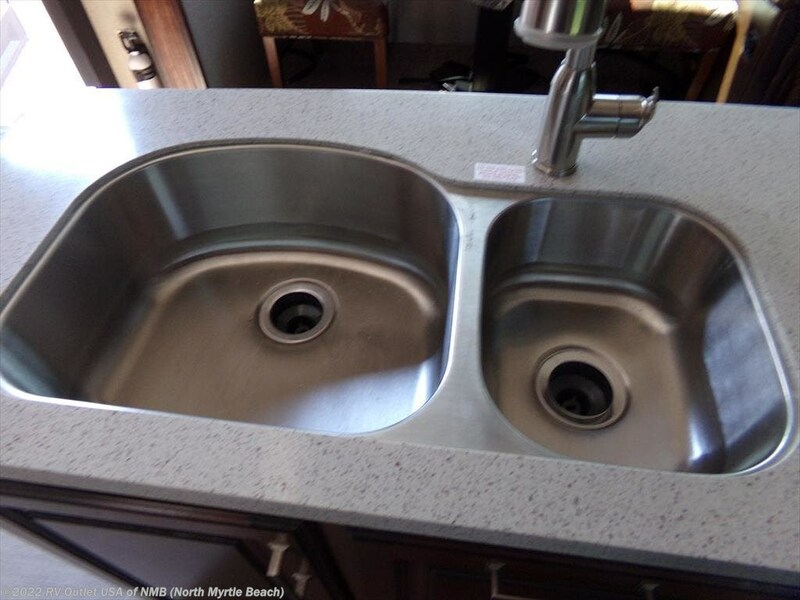 At the foot of the bed you'll find a dresser, and this floor plan also has a very spacious side aisle bathroom with a large residential style shower with built-in seat, a sink with solid surface counter tops and underneath storage, a medicine cabinet, and a foot flush toilet. 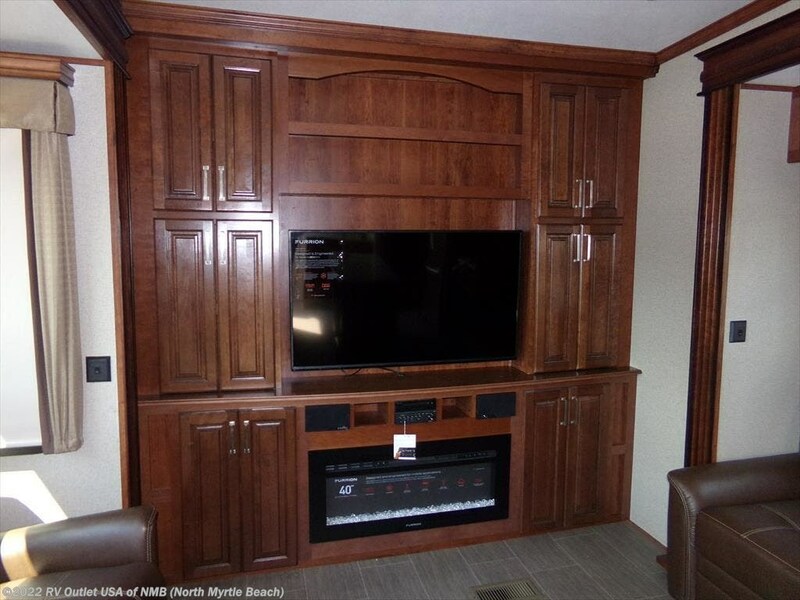 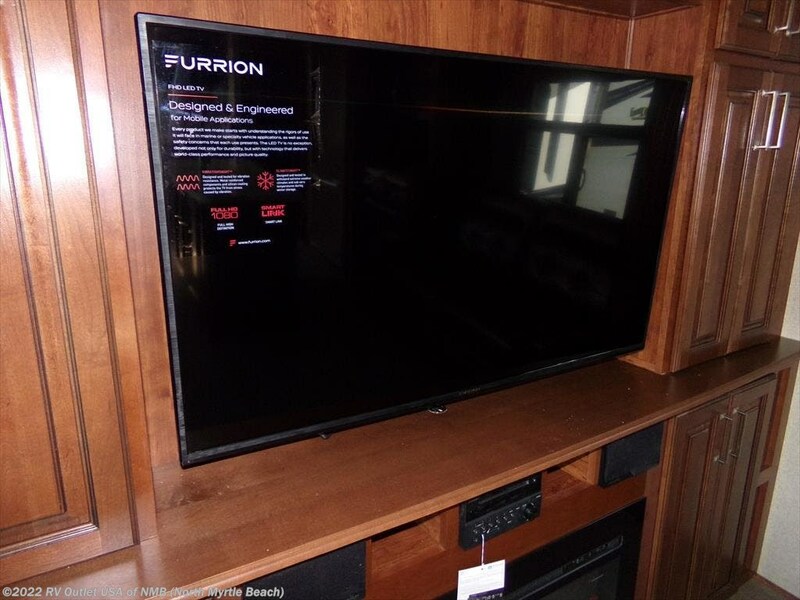 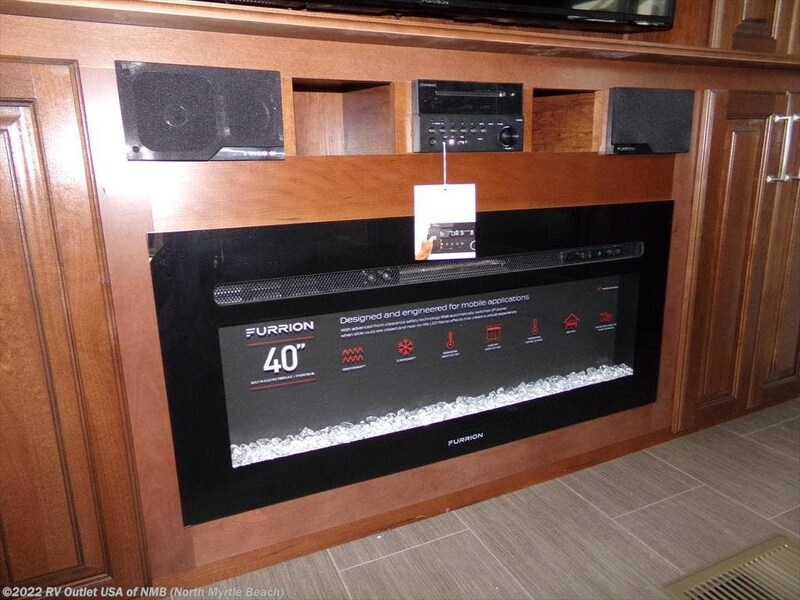 At the rear is the entertainment center which has a TV and below that is the electric fireplace. 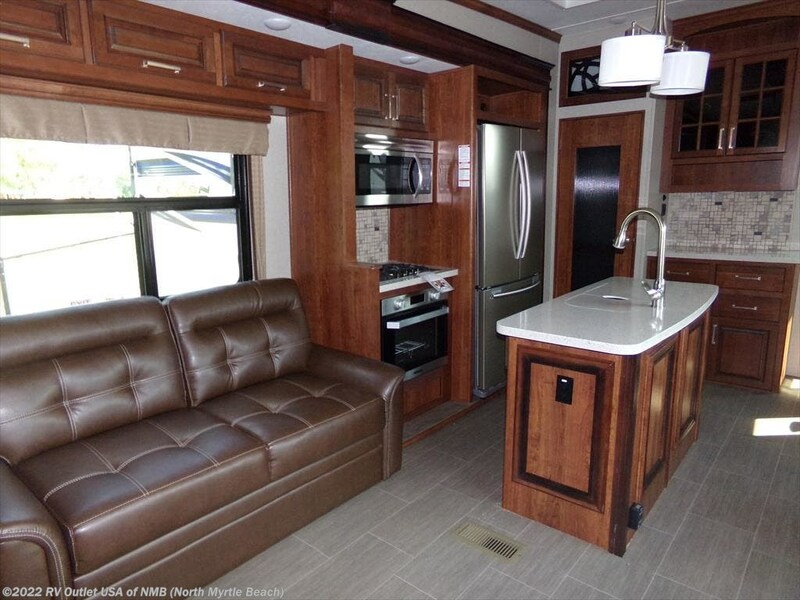 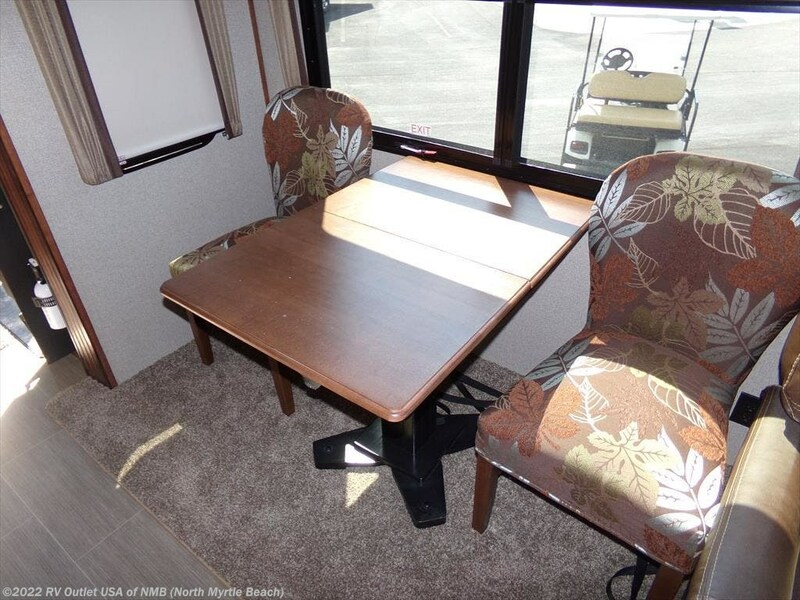 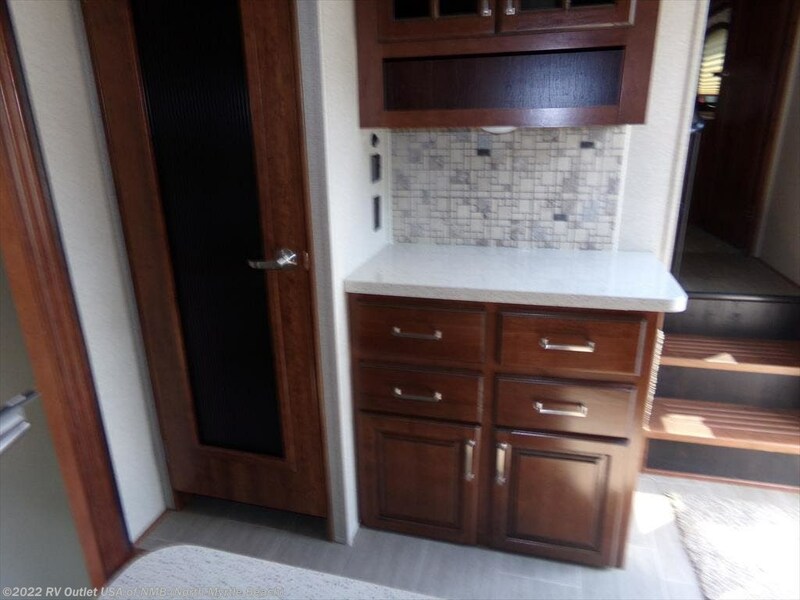 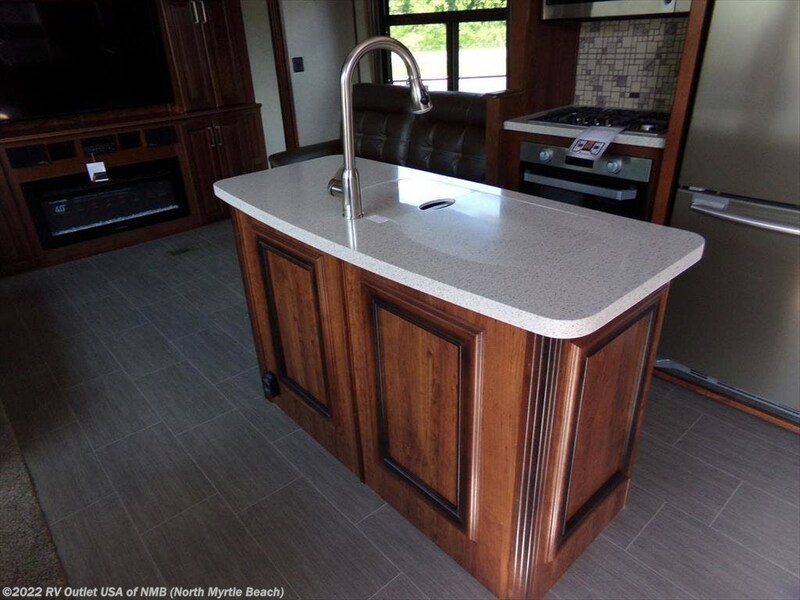 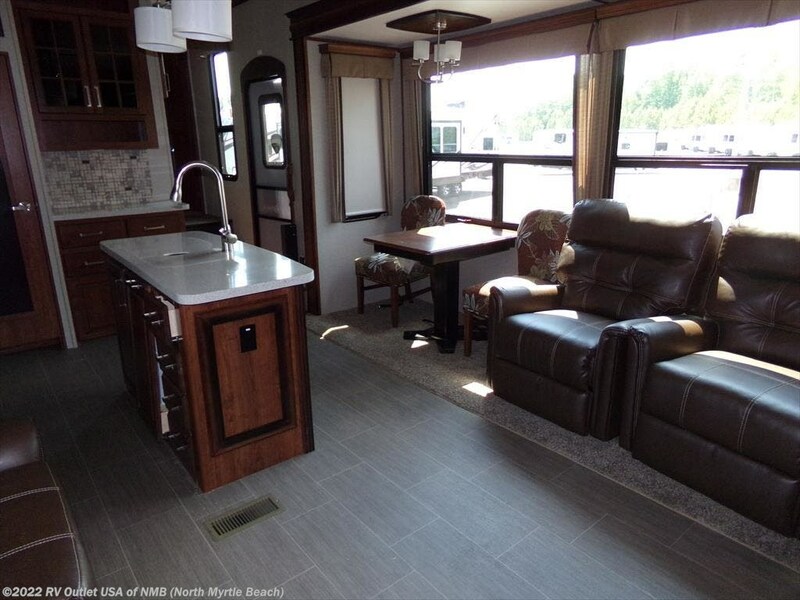 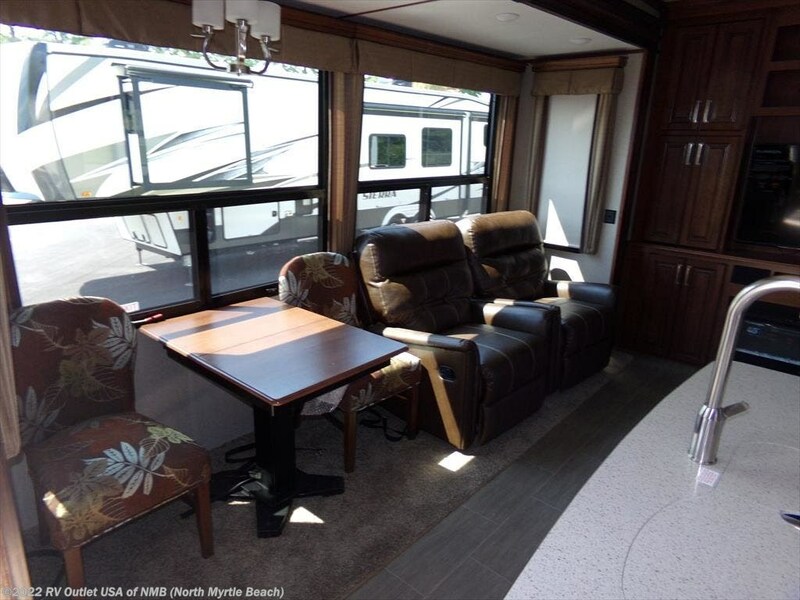 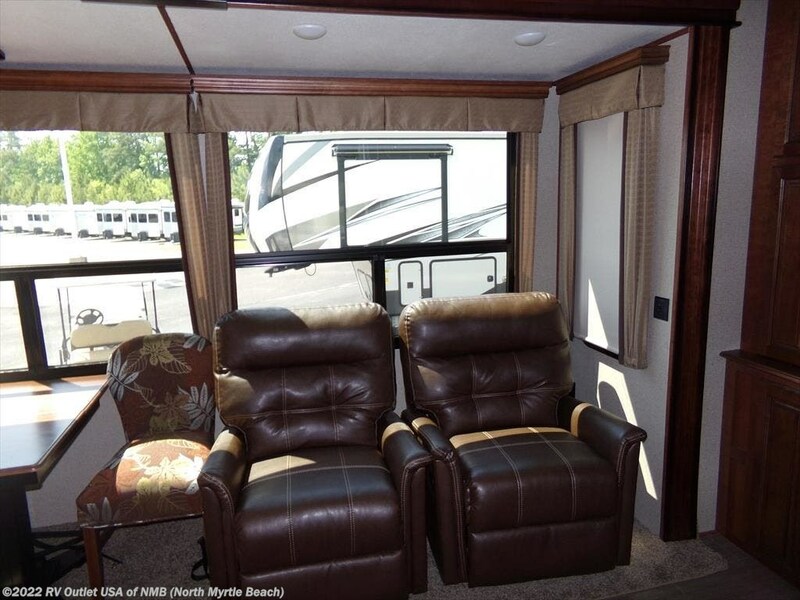 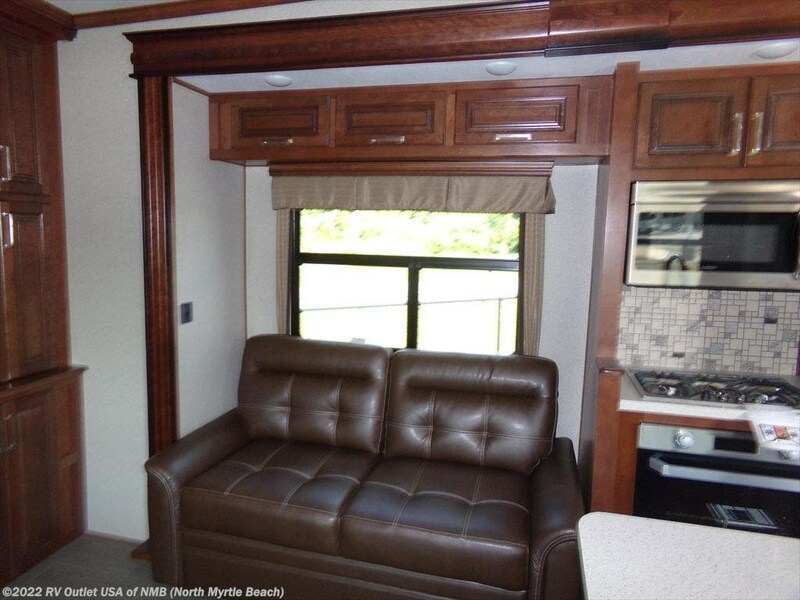 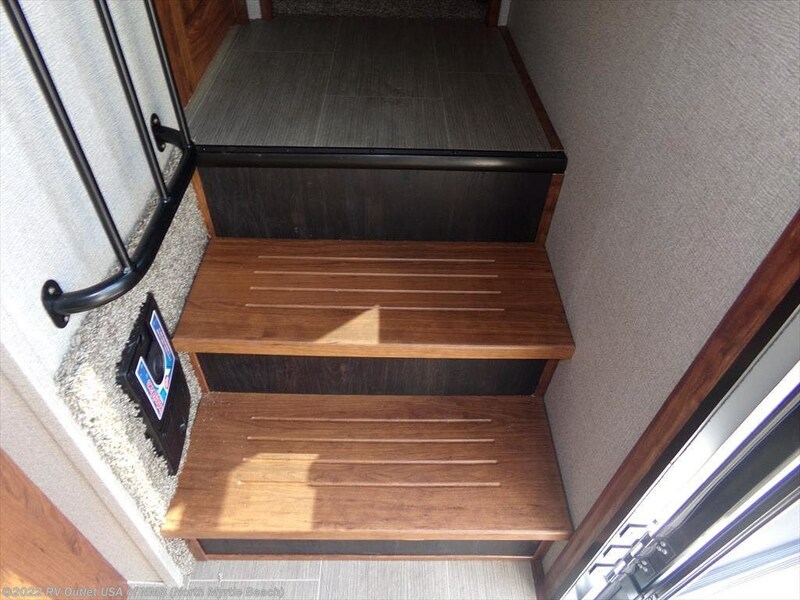 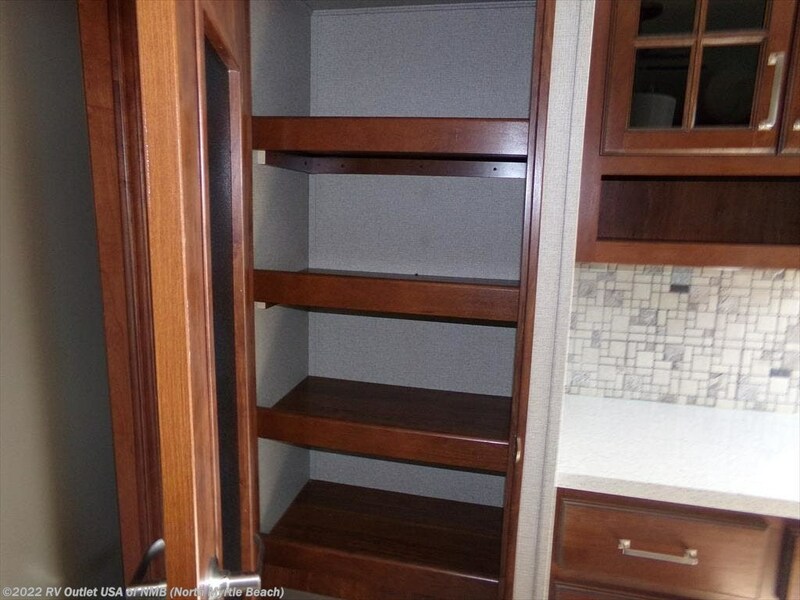 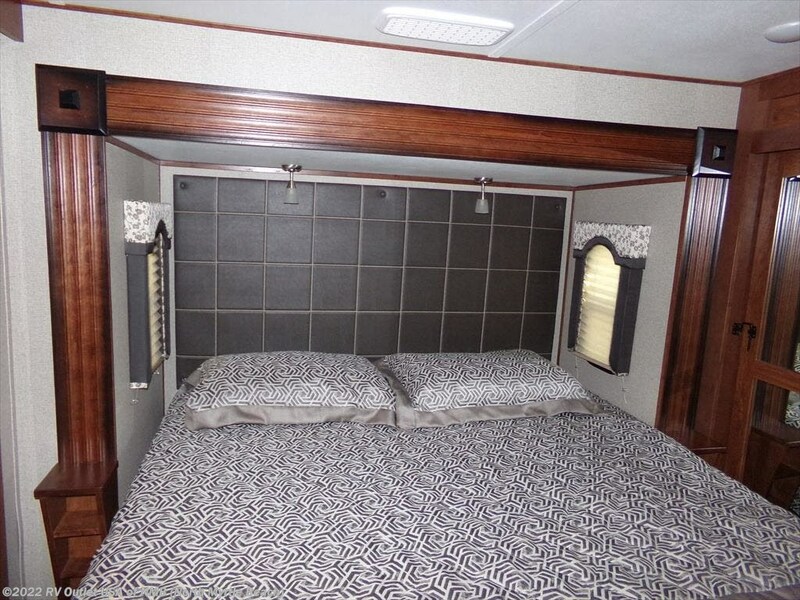 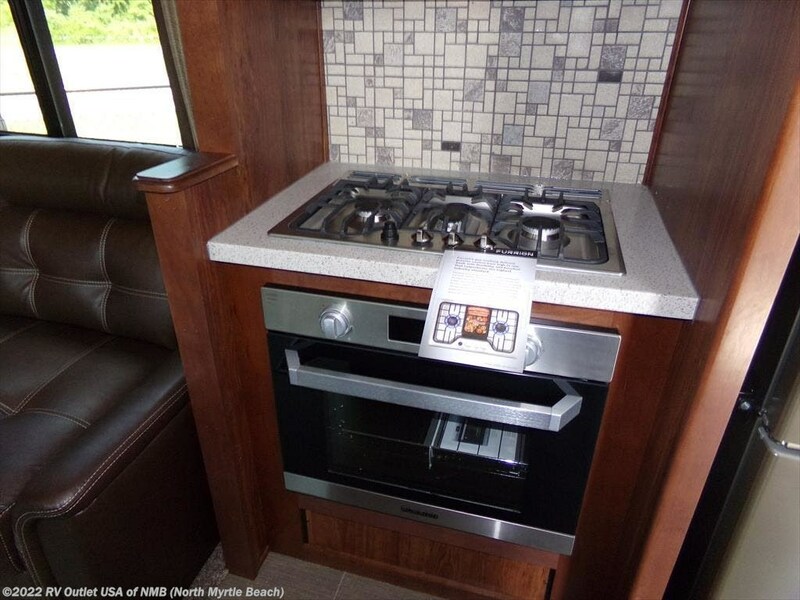 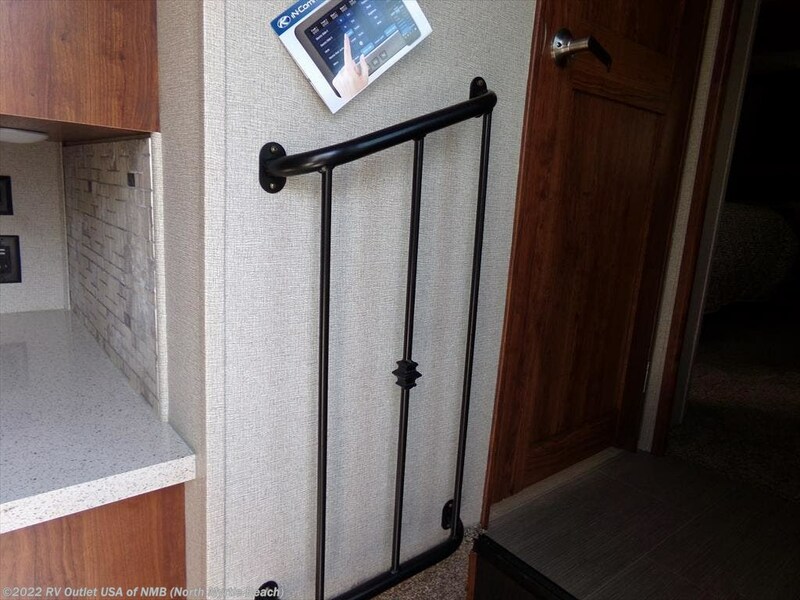 In the rear of the coach on the slide is a tri-fold sleeper sofa and this floor plan also has a kitchen island which has solid surface counter tops a sink with underneath storage. 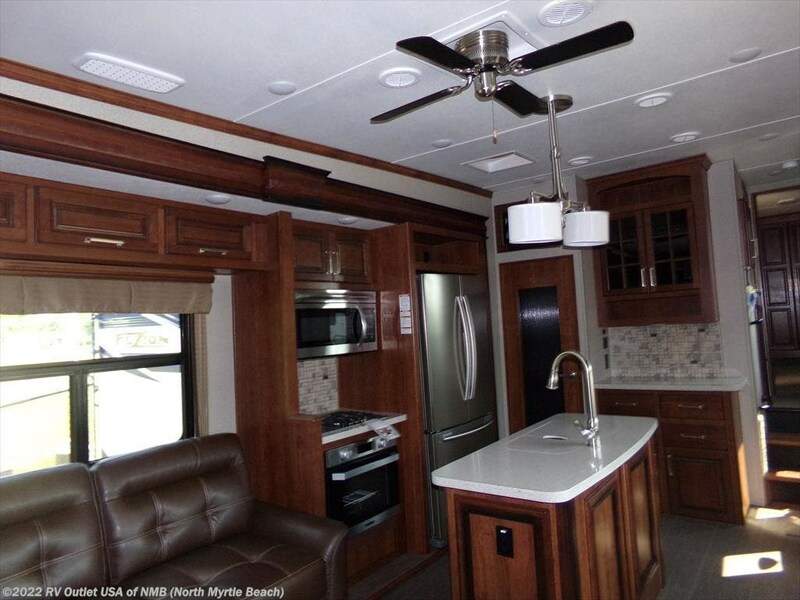 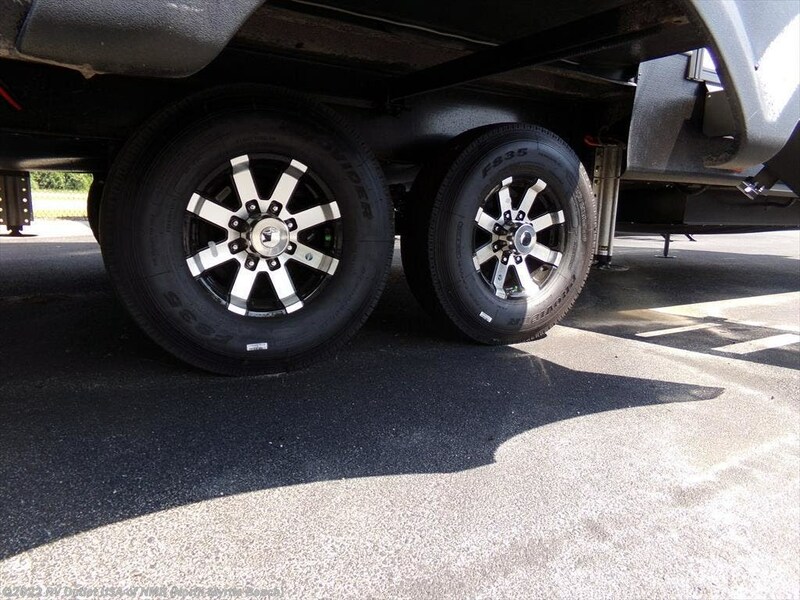 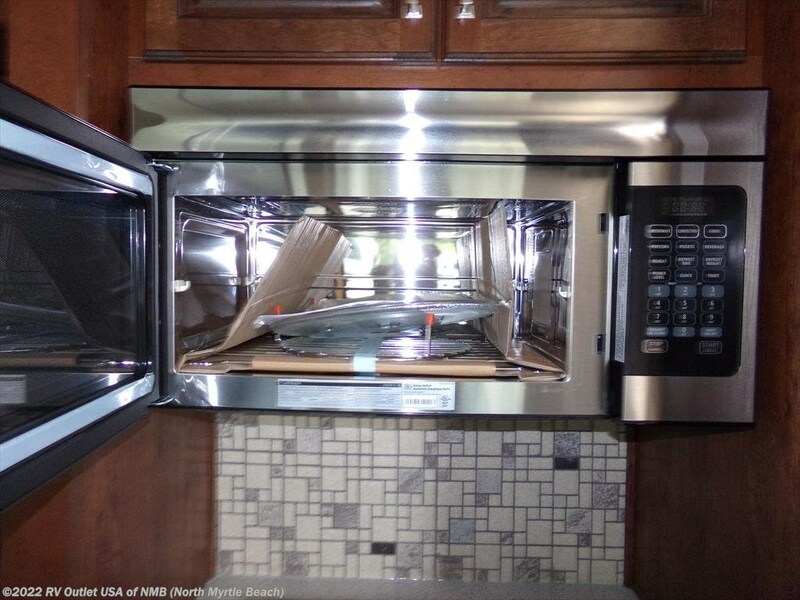 It's a really nice, well built 5th wheel!